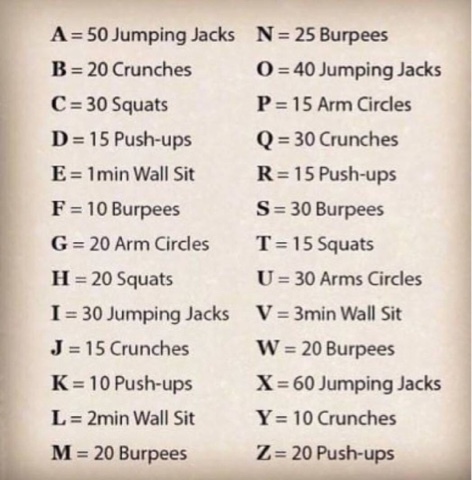 Looking for quick ways to get a quick workout in since your busy schedule prevents you from spending time at the gym? This post is for you, it's a good way to work a sweat and the best part is that you can do it in the comfort of your home. I challenge you if you're reading this post, spell out your name and do every thing that corresponds to every letter in the picture above.